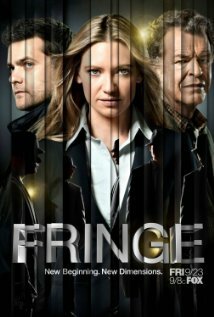 The FBI teams up with a formerly-institutionalized scientist - who was performing experiments on the fringe of real science - and his son to investigate weird crimes that are seemingly part of a larger pattern, and may be connected with a global company called Massive Dynamics. 08 April 2010 - Season 2, Episode 17: Olivia. In The Lab. With The Revolver. 14 October 2010 - Season 3, Episode 4: Do Shapeshifters Dream of Electric Sheep?